First, I know it’s Friday but I found this today and couldn’t wait until next Thursday to share. 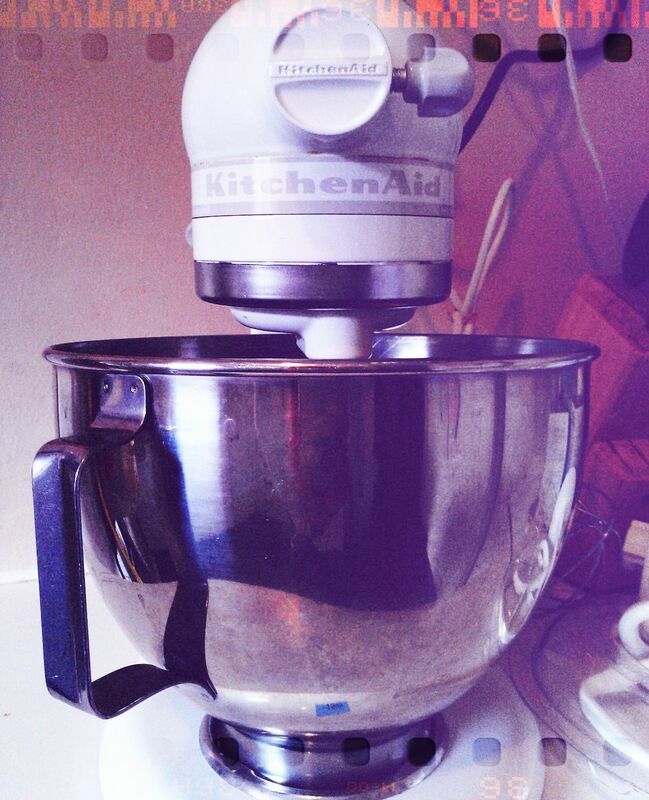 I have wanted a KitchenAid mixer for a few months now but spending $350 for it just wasn’t feasible. Besides I had a little handheld mixer so I figured I could wait. Today the hubby and I were running errands and about to grab some lunch when we walked past the window of our local Goodwill. In the window was a beautiful white KitchenAid mixer. I should mention that right next door to the Goodwill is a store that sells high end home decor and appliances. The high end store also had KitchenAid appliances on display for the mere price of $350. It was like a light beam drawing a bug in; I walked into the store, checked the price and my heart skipped a beat. $19 bucks. All attachments. Worked like a dream. Sold. I hope you enjoyed this light-hearted post and hope you find your way to your local thrift store this weekend. Finds like this make the world a happier (affordable) place.